I don't have a way of un-installing it but I have a way to prevent it starting automatically. Going into Settings then Sessions and Startup, click on the Application Autostart tab and scroll down to Express VPN and remove the check from it. Not sure what you are asking for? Do you want remove the installed package or start and use this VPN? I'm happy to either fix it or get rid of it. At this point I'm convinced it's stuck forever. Can you stop, showing text output as images, please! Was I meant to run the .deb installer again? 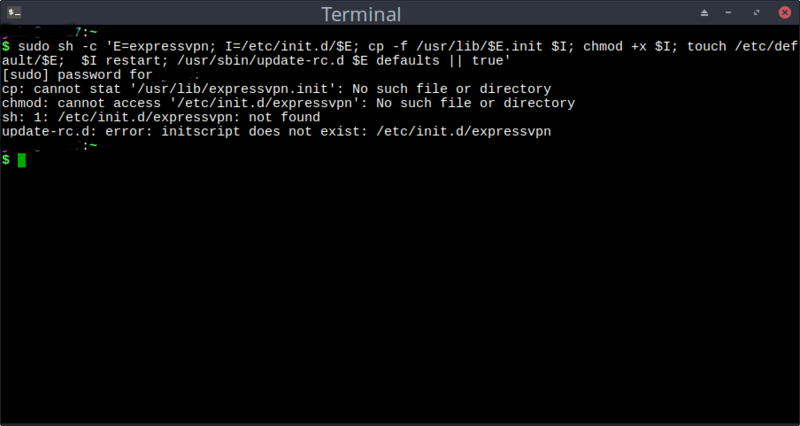 See system logs and 'systemctl status expressvpn.service' for details. Wow it finally worked! Thanks a bunch! Is your VPN also working?